From 09/07 to 27/08/2019, every Tuesday between 8.30 am and 12 pm. 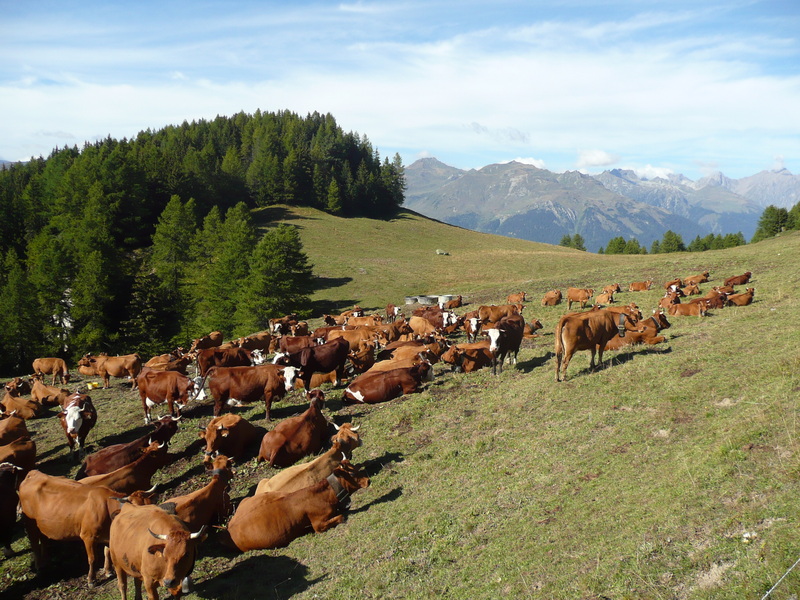 Meet the "alpacists" (alpine dairy farmers), discover their daily life, their knowledge of Beaufort cheese-making and share their passion. Cheese tasting at the end of the visit. The life of mountain farmers follows the rhythm of the seasons. The farmers move with their herd in search of fresh grass. They have thus shaped the territory between meadows, pastures and alpages. Discover this ancient way of life, meet the alpagists in their natural environment, and share their passion. At the end of the visit you'll be invited to taste the delicious Beaufort cheese. Adult: 9 €, Child: 3 € (from 5 to 15 years).